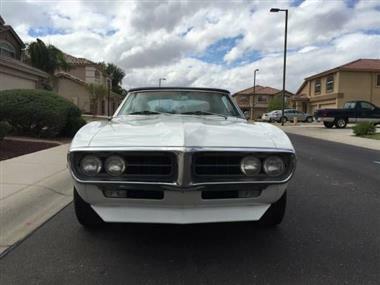 1967 Pontiac Firebird in San Diego, CA for sale. 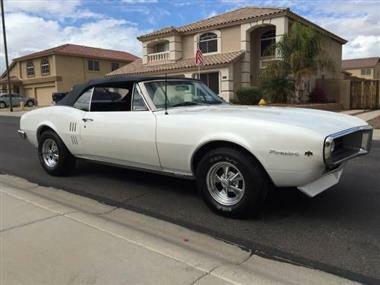 1967 Pontiac Firebird convertible sprint model car, only 1200 were produced. 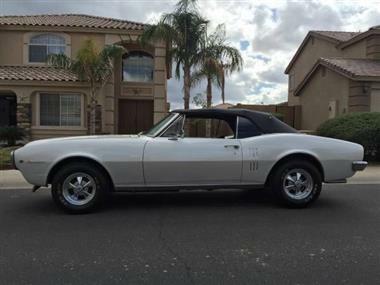 It comes equipped with a brand-new 400 hundred motor with less than 100 miles on it also has a new Saginaw four-speed transmission. Wheels are 17 inch torque thrust aluminum wheels. Has a brand-new paint job; Cadillac pearl white. 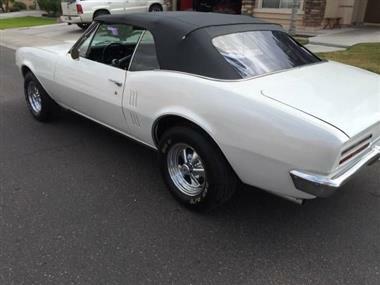 Has a brand-new convertible top and new black interior. 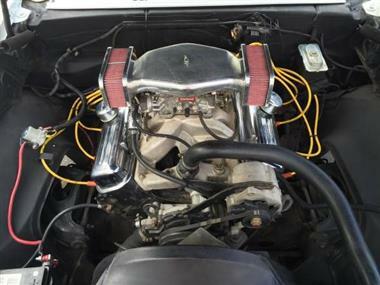 Engine comes equipped with headers and duel exhaust. Comes with brand-new front end ball joints shocks and springs. 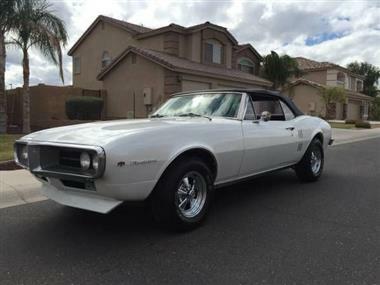 This vehicle is priced $2,811 more than the Average Market Price of $33,188 for a 1967 Pontiac Firebird. This is a Fair Deal as it's priced 8.0 % above market avg. The Pie chart below shows the number of ads within different price ranges.